Wow. John Connolly sure knows how to rewrite fairy-tales! Imagine having dozens of fairy-tales rewritten and woven together to create one magical saga for one lonely young boy. We have 12-year-old David, living in London during the war, who mourning the death of his mum, dives into a new world when he hears his mother calling his name. He soon runs into the “crooked man” and with the help of many others in this imagined land, he manages to survive, werewolves, trolls, witches and much more to help save the kingdom that they reside in. David, soon finds out that the promises that the crooked man makes might not be sincere and the little man has his own motives for trying to help David along the way. There must be a dozen or more fairy-tales wrapped into this wonderful tale. I’ve loved everything I’ve read by Connolly, but hear me now…this really blew me away and I have a newfound respect for this writer! Wow….what an imagination. One might say not, as some of the original fairy-tales have been around for centuries, however, how he changed just enough to make it new, and outrageous, yet still a bit scary and then managed to weave them all together into one story….brilliance! I absolutely loved this one! Well done, Connolly! Most of the time, when I finish a book I’m able to talk about it right away. But every now and then a book comes along that makes me hesitate, sit back and think about it a bit. 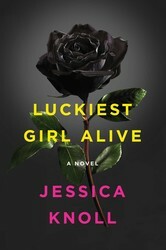 This debut novel by Jessica Knoll is one of those books. Meet Ani. She’s a young women living in New York, not yet thirty and already an established contributor to The Women’s Magazine. She’s the epitome of success. Ani knows how to dress, how to walk and talk, how to order at a restaurant. And she’s engaged. Not just any average Joe will do. Luke comes from old money, a well-to-do and highly respected family. He’s her ticket to security. Does she love him? Does it even matter? But Ani is hiding a secret from most of the world. Something from her past has come back to tarnish the image she’s worked so hard to cultivate. Everyone thinks they know what happened when she was a student at the prestigious Bradley School, but now it’s time for Ani to tell her side of the story. I’m the first to admit, it took me more than my typical 10% to get into this story. Even after 20%, I was still skeptical. But I knew, just felt even, that something was going to happen to make it worth my while. So I stuck with it. And I’m glad I did. Because it paid off. This is a dark, sarcastic, humorous, witty story. There’s a depressing sadness that comes from finally hearing what happened to Ani. But at the same time, she’s not always a very likable character. She’s kind of mean, biting, cruel even. Once you hear her story, however, you understand. And you find yourself pulling for her, even cheering her on as the story reaches its ending. It’s a story that I think will leave people pondering for a bit, wondering about what they just read. And it’s a book that I believe people will recommend to others, just like I’m now recommending it to you! This was a new type for me. Yes, I’ve read plenty of YA novels. I’ve even read them like this so far as that it involves young people in some sort of war/espionage type thing. However, all of these involved post-apocalyptic world or includes some sort of magical realism. This one, however, included none of that. It was simply a story about a young boy orphaned at the age of 11. He is then contacted by an governmental agency and offered a new home. Once he completes training he will be placed in various missions in order to obtain information that will be useful to his government. The organization was formed in WWII and has grown and evolved since then. 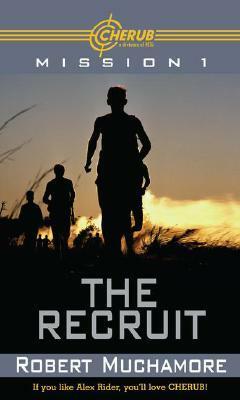 In this first installment of the series, James looses his mother, is placed in foster care, has contact with the law, is contacted by the secret agency, finishes his basic training and completes his first mission. It’s a fast read but only because it’s so entertaining. The author has set up a great start to what promises to be a fantastic series. We have many characters to not only follow, but to also fall in love with. If that wasn’t enough, the spy element also ensures us lots of suspense and mystery as well. There are countless story-lines that can follow. I especially enjoyed that James did not just complete his mission blindly. He is young, but not so young that he doesn’t realise that his actions have consequences. At the start of the story, James doesn’t seem to let these bother him….yes, he thinks about them, but only as they effect him. At the end, James questions the effect that his actions has on others. At what costs does one pay for the benefit of the overall good? When does the price paid negate the good? 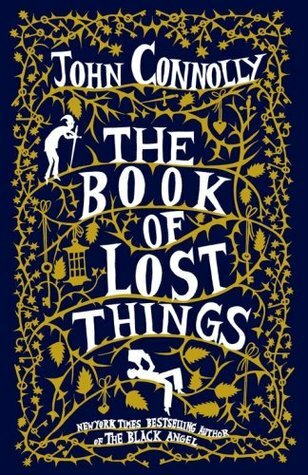 I realise this series has been out for a while now, but I hope as I read the later books that James continues to question and to learn from what he sees and does. I hope he does not just blindly follow. 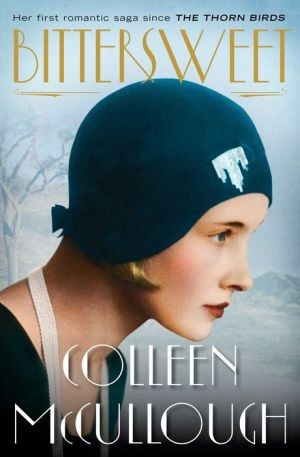 I’m so excited to start Bittersweet by Colleen McCullough … Releasing in the U.S. August 19. Now I need to get done all the things that need doing so I can sit down and relish this saga.